The Memorial Candle Program has been designed to help offset the costs associated with the hosting this Tribute Website in perpetuity. Through the lighting of a memorial candle, your thoughtful gesture will be recorded in the Book of Memories and the proceeds will go directly towards helping ensure that the family and friends of Mary Gardiner can continue to memorialize, re-visit, interact with each other and enhance this tribute for future generations. Mary C. Gardiner, mother, grandmother, and great grandmother, passed away on January 30, 2019, after a lengthy illness. She was preceded in death by her first husband James Barbuto, her second husband, William Gardiner and her dear friend, Jack Hanlon. Mary is survived by her loving children, Lori (Kevin) Leady, James Bari (Camille) Barbuto, and William Gregory (Cindi) Davis. Her grandchildren, Clinton Leady, Nicholas Leady, Ryan (Renee) Davis, and Megan Davis, plus 4 great grandchildren. We can’t forget the love of her life...Lucky, who brought her so much love and joy. Mary was loved by so many, her nieces, nephews, friends, neighbors, and a special person in her life, Marlene Gardiner, who she would spend hours with on the phone. 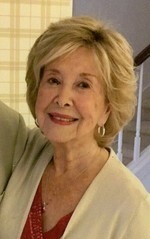 The family would like to especially thank Dr. Leonard Schlossberg, Vicki and Lisa and the rest of the staff at Gulfshore Concierge Medicine for the many years of not only being her doctors and nurses but all of their support, love and friendship that they showed her throughout the years. A funeral mass will be celebrated on Friday, February 15 at 11:00a.m. in the chapel at St. Agnes Catholic Church, 7775 Vanderbilt Beach Road, Naples, FL 34120. Donations in Mary’s memory can be made to St. Matthew’s Hose, 2001 Airport Road S, Naples, FL 34112, Harry Chapin Food Bank, 3940 Prospect Ave, #101, Naples, FL 34104, or St. Agnes Church, 7775 Vanderbilt Beach Road, Naples, FL 34120.